I wouldn't normally think that historical YA would be my 'thing' but Theresa Breslin has really changed my mind about that. I really enjoyed her previous book, Prisoner of the Inquisition so I was really intrigued to read this book. I really didn't know much about the time period before reading Spy for the Queen of Scots, but it didn't seem to matter. I picked up everything that I needed to know whilst reading. I find the information that Theresa Breslin presents to the reader to be very accessible and also incredibly fascinating as well. This story is told from the point of view of a girl in close association with Mary, Queen of Scots and it follows as Mary is put into some very difficult political positions. As the story moves from France to Scotland, I was always absolutely intrigued to know more. I love her friendship with Mary and also her confusion and doubts over her possibly-romantic relationship with Scottish lord, Duncan. WHY hasn't this book had more ratings? I really want everyone to go out and read this beautiful book! I really love the seaside setting, the characters, the music but especially this importance placed on making friends, valuing your family and also with being more confident in yourself. This book really did change the way that I've been thinking of myself and the way in which I behave around other people. Plus it has that cool element of Blue's future self appearing and giving her tips on what to do and say and wear. I find that an awesome idea. With birthday wishes and a terrifying roller coaster accident and really beautiful writing, this book is not to miss! I only read Silenced recently (and shamefully have not yet reviewed it! ), but it is wonderful. I'm sad that there aren't more people who have read and rated/reviewed this book. It's similar to Speak by Laurie Halse Anderson, in which the main character is struck dumb after a car accident claims the life of his best friend. It is similar, but I found Silenced to not only be quite serious and sad, but also incredibly funny. And the combination of those two things really make this novel stand out for me. Yes, parts are sad but other parts are absolutely hilarious. I loved how that line between the two really blurs, I think Simon Packham did an amazing job with how he included both. The main character, Chris, is very likeable and sympathetic right from the start. My heart absolutely ached for him and for what he goes through right from the very beginning. His grief feels incredibly real and raw. I loved the way in which Chris and Declan's friendship is portrayed - there's a fair bit of planning for Chris and Declan as a comedian duo with their sights set on the Edinburgh Fringe festival. Wonderful, sad, and funny story about grief and friendship and finding your voice again. Man, I loved this book. It's hard to talk about this book in detail and explain exactly the reasons why I enjoyed it so much because of the huge twist that appears halfway through this novel. I was reading this book thinking that it was a very light-hearted romantic story of two people with a crush on the same person and the complications that that might pose. ...And then, no. This story takes a turn into something else entirely and I love it for doing that. 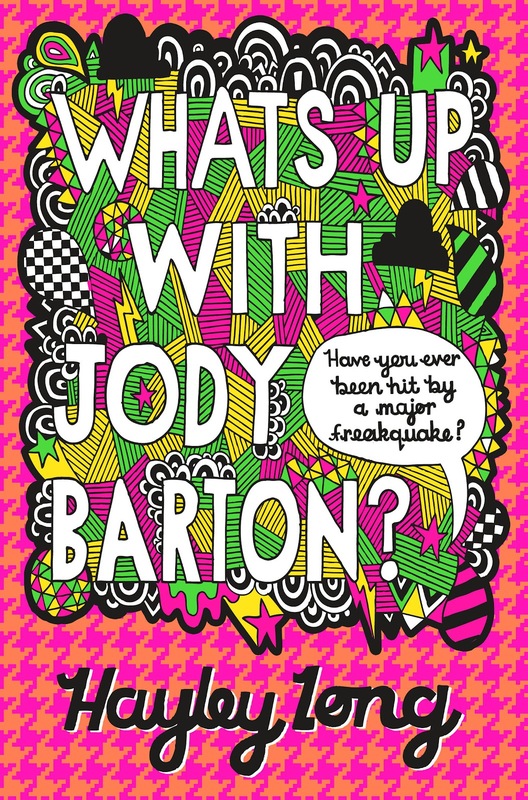 In the same way that the Lottie Biggs books by the same author, What's Up With Jody Barton? also includes some really fun illustrations and a really great new teenage voice in Jody Barton. It's funny and serious and engaging all at the same time. Seriously, do pick it up. If there's something I really, really don't about, it's hair. My hair is thin and flat and I can rarely do anything with it. And one thing that I found very interesting and useful with this book is that each chapter begins with a step-by-step guide to managing a certain hair style. I think things like are really fun! But this book also has a really great story about identity and family and has an incredibly sweet beginnings of a love story between our main character, Sadie and one of the geek-boys of the title. It's a title and a cover that really grabbed my attention when it first showed up and I really raced through the story. I liked going on this journey of self-discovery along with Sadie who is absolutely determined to find out who her sperm-donor father really is once and for all. And on the way, she might just figure out who she wants to be, what her family means to her and who she's beginning to fall for. I really dig stories involving families like Sadie's, they pull at my heartstrings and make me slightly envious. I haven't yet reviewed Love at Second Sight, but I really loved it. Cathy Hopkins is an author that I only discovered this past year and I'm a total convert. After reading and loving her Million Dollar Mates series, I picked up this book with excitement. And Cathy Hopkins writes in such a great way, pulling me into the story, making me care about her characters in such an effortless way. This story and Jo's romantic journey is really cute. It's a big 'AWW' kind of book, one that makes me smile silly-ly while reading and when I finished I was thoroughly content and quite happy. You know, it's really nice to read these sort of stories every now and again. But it is far from being sickly sweet, it has a great cast of characters and some really authentic teenage dialogue. If like me you are only just discovering Cathy Hopkins, I really recommend this book to start out with. Have you read any of these books? Do you know which of the books on GoodReads that you've read has the fewest ratings? Thanks so much for the kind words about Bluebell. What's Up With Jody Barton IS FAB! Oh, do read it. 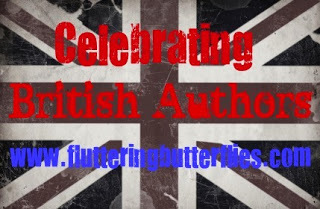 ..And I hadn't noticed until you mentioned, it is quite a varied bunch of books, isn't it? All lovely though! 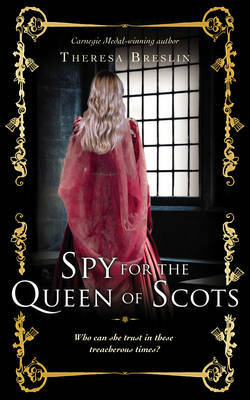 I've read Spy for the Queen of Scots and Love at Second Sight and loved both of them! My lowest ones recently is The Wolf Princess with 19 ratings. I've noticed (actually someone else pointed it out to me!) that the people who use goodreads don't really rate middle grade fiction as much as they would teen or adult. But that is interesting. Love this feature - a great way to find some books I might not have heard of. 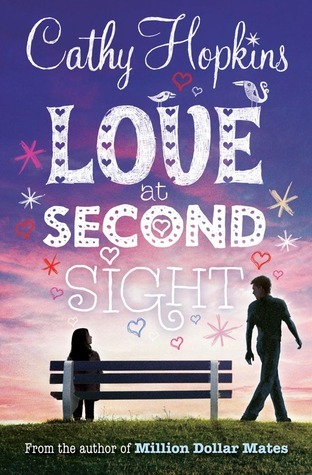 I've read Love at Second Sight and it was fun! Fab feature! Have read all except the first and the last, which are both on my TBR list. Wasn't particularly keen on Dads, Geeks... but loved the other three!